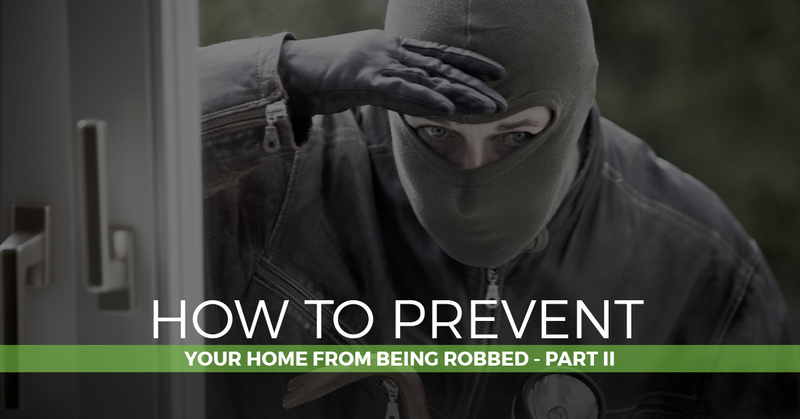 In our most recent blog post, we looked at several burglary prevention tips. Our home security expert will look at the remaining strategies in this one. Pay attention to the police blotter – Reader’s Digest mentions that certain neighborhoods are vulnerable to specific types of crimes. For example, you might find with some research that a nearby neighborhood was victimized with several break-ins where electronics were the primary items stolen. By glancing at the police blotter on occasion, you can take the necessary measures to ensure the safety of your home and family. Arm your security system – It’s head-scratching to think that 20 percent of alarm owners say they don’t activate the system during the daytime. However, the majority of burglaries occur in broad daylight. So if you haven’t been activating your security system whenever you’re away from home, get into the habit of doing so again. Install a deadbolt – The average thief is in and out of a home in under 10 minutes. According to Secure Life, most don’t waste time trying to work through a deadbolt or other secondary lock. For added security, it’s a good idea to ensure that you have extra locks installed on all exterior doors and not just the front. Turn on the outdoor lights – Though break-ins tend to take place during the day, a burglar’s best friend is a dark home. That’s why something as simple as turning on your outdoor lights in the evening can go a long way. You can even take it a step further by installing motion-activated floodlights around darker corners of your home. Trim those plants – We love the beauty and privacy that comes with our landscaping. But those trees or shrubs can act as great hiding spots, as well. Be sure to keep everything neatly trimmed away from walls and below window height. Plus, having a well-maintained yard tells would-be burglars that you’re paying close attention to your home. Take out your mail – A mailbox that’s crammed full is the number one signal burglars look for when eyeing their next target. Why present the idea that you’ve been away on vacation for weeks? If you’re looking to add another layer of safety to your home, then you’ve got to check out the security systems at Safeway Lock and Key. For years, we’ve helped Baltimore homeowners achieve peace of mind. Our CCTV home security systems provide 24/7 surveillance capabilities, meaning you never have to be concerned about your home being compromised. Safeway Lock and Key only uses the industry’s leading brands and manufacturers of home alarm systems. We are so much more than your average locksmith. While we may specialize in residential and commercial locksmith services, our primary goal is keeping your family safe. For your convenience, we offer emergency services. With summer winding down, there’s not a better time to take your home’s security up a notch. Our licensed, bonded, and insured team is here to take the “what if” out of the equation. If it’s time to upgrade your security systems, give Safeway Lock and Key a call today.